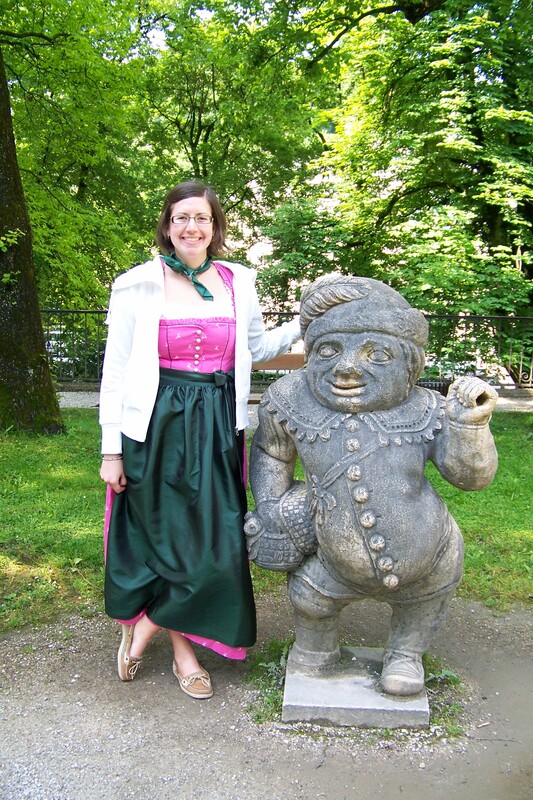 When visiting Salzburg, these garden gnomes are an oddity you can’t miss. Some are made to resemble someone, like Napoleon, and some are missing. There’s at least two separated from the group in a yard on Giselakai on the east side of the Salzach, between the Mozart and Karolinen bridges. To get to the gnomes at Mirabell Gardens, take the path on the west side of the Pegasus statue and fountain behind the palace. The path is guarded by lions and begins by going up a few steps. And for you “Sound of Music” buffs like me, recall that in “Do, Re, Mi” the children file past one of the gnomes, tapping him on the head. They also skip around the Pegasus fountain, but that’s much more famous. There are plenty of other “Do, Re, Mi” sights in Mirabell Gardens, too. This entry was posted in Europe, Movies, Photos, Wednesday photo and tagged Austria, Gnomes, Movies, Music, Photos, Salzburg, The Sound of Music, Travel. Bookmark the permalink.